This past May I spent a week in the south of France soaking up the mix genius of talented producer and mix engineer Jacquire King (Kings Of Leon, Norah Jones). During my Mix With The Masters experience I learned a ton from Jacquire, but one thing that struck me the most was his dedication to one simple and underused part of the mixing process. It since has become a huge ingredient in my mixes and it’s somewhat silly to think I had missed it before! The first thing to remember here is the simple truth that mixing can be summed up in one word: balance. We balance volume faders of tracks against each other. We balance frequencies of tracks against each other. We balance dynamics of tracks across time with compressors. In the end, our goal is to balance all the parts together so the whole is a well defined, and clear song. Nothing is buried and nothing is taking over. Jacquire is very good at this and approached mixing the way most of the greats I’ve had the pleasure of learning from do – a static volume and pan mix followed by some strategic EQ and compression. He then spent time dressing up the mix with some tasteful delays and other effects. But where things really got interesting was when he got the automation. Of course. It made perfect sense! Up until this point we’d been doing static moves (setting volume and pan, picking EQ and compression settings, working the mix buss, playing with effects). We’d sculpted a pretty good mix. But a song isn’t a static thing. It’s living and breathing. It has movement. And Jacquire was so pumped to finally put his hands on the mix (literally) and play it like as if he were in the band himself. Now – full disclosure – I do automation to some degree in every mix. Rarely is there a song where I can set the faders at the beginning and leave them there the whole time. But what I began to witness at the gorgeous Studio La Fabrique that day was something entirely different. Jacquire went systematically through just about every track in the mix and “played” the fader while laying down pass after pass of automation. And it was intense! The man was literally sweating. He was in a zone – working the mix, moving with the beat, darting in and out with each moment as if he were playing along with the band on stage. It was awesome to watch. And it changed the way I think about automation forever. Since returning home from that intense week long experience, there has been a tactical change in my mixing process. What I call the sweetening stage (which includes more than just automation) has extended to allow an additional hour or more of pure automation. First of all – I immediately bit the bullet and purchased a control surface (the Avid Artist Mix to be exact). I’ve been mixing at home for 15 years on just a mouse, but that day came to an end as I knew I wanted my hands “on the mix” moving forward. What this does for me now is gives me the chance to make sure that at every moment of every track the volume is balanced exactly where it needs to be. Sometimes it’s simply a word or two that is getting buried on the lead vocal. Other times it’s the swell of a beautiful delayed lead guitar track that needs to come up for a chorus and down for part of a verse. Still other times it’s riding the snare drum or overheads so fills pop out nicely and catch the listener’s ear. I’ll even automate the bass guitar on single notes that drop in volume. Whatever is necessary to turn a well balanced song at most points in the mix into a well balanced song at every point in the mix. That’s what automation can do for you. That and bring some human element to the tracks. Now believe me, I know that nice touch sensitive control surfaces with motorized faders can get expensive. So here are some other options. The PreSonus Fader Port is a single fader control surface that arguably is the best solution for the modern home studio. Typically we are automating one fader at a time anyway – plus you can control groups or aux tracks with it as well. Another solution is to use one of the many iPad or Android apps that use wifi to talk to your DAW. Like I mentioned above, the super expensive Neve console wasn’t working correctly so Jacquire did all his automation that week on an iPad laying on the Neve. Ironic. You can even use the mouse. There is no pre-requisite for using some touch control device to do automation. You can use a mouse in real time or simply draw in the perfect automation lines manually. I personally use a combination of control surface and mouse drawing for mine. To many of us, automation is nothing new. But for me it wasn’t until I watched the way Jacquire interacted with the mix that I realized just how much more life you could bring to your tracks if you spent the time to dig in deep with automation and discover things that were slipping beneath the surface. So there it is. Automation was the missing mix ingredient for me. What about you? How do YOU approach automation in your mixes? What have you found that works and what doesn’t work? Do you use a control surface or a mouse? What does your process look like? This is awesome! Riding the faders like this to sweeten the song and make sure every part has the emotion and time in the spotlight that it deserves. It’s like enhancing the arrangement of the song. I downloaded AC-X Mini to my iPhone to control my DAW, and it’s cool but I usually have trouble getting it to connect… Anyone else experience this? I enjoyed reading this post and agree that mixing is just as much of a performance as the actual song. I use a hands in approach to mixing (sweeting) a song but the difference for me is that I do it on an analogue console. Thanks for all you do. Very interesting; thanks for pointing out that this is really the FUN part of mixing the song once you get all the necessary stuff out of the way! I can’t speak for other DAWs, but if you’re a Logic X user, there’s a really easy way to automate volume using Flex Pitch. If you activate Flex Pitch, each detected “note” will have six small circles on it that you can drag and change properties such as fine pitch. One of these properties is the volume, so if that one word wasn’t sung quite loud enough, just go into Flex Pitch and increase the word’s individual level! This also maintains your overall fader balance so you don’t skew your volume ratios between overall tracks for one tiny automation move. Also, there’s a free iPad app called Logic Remote that can act as a control surface, similar to what Graham mentioned above. Cheers! Will keep this in mind! Yup. Will keep that in mind. Just a little message to say thanks for all your time over the past few years. Everything you suggest I take on board and finally after many years, things are sounding better! Its mostly down to me being lazy and giving up, but lately I’ve really got to know my DAW, Cubase. I think that hitting technical walls all the time really kicks the create process away. Thats why after years, I too will be buying the Raven MT2, it’ll hopefully make things a lot more enjoyable. As a musician I feel its so important to be able to use a plug in or a fader like we play our instruments. Seeing your post today really makes me happy because before I was thinking that maybe I am buying something, for buying sake ( as it is a fun toy after all). Anyway, you’ve helped me so much in the past, just wanted know Graham. Also, have you tried the Raven MT2 yet? I have the Presonus Fader Port and it does a great tactile job. I also use IpTouch for Logic Pro on my iPad. Mostly, I must confess, as a transport bar when recording myself. But it’s also a pretty simple controller. I love your blog – and it has been an inspiration to me (to work harder, listen harder, be more responsible – and spend less). However, the control surface issue is the one that I haven’t found an affordable solution to. Ok, the starting problem I have (and I think it’s true for every DAW etc) is that you can only do one thing at a time. No matter how many faders you have on screen, you can only move one before moving to the next. (whether you are using a mouse or your finger). Coming from a live background, I am used to working at least two at the same time. Often you bring out that guitar solo moment by simultaneously raising the guitar slightly and lowering the keys slightly – and then reversing them together later. It’s a bit like the mantra of EQing one thing to make room for the other. It works best if you do it in both places( but opposite). So – for really complicated mixes (most of mine aren’t) have been known to get it to subbed to 16 channels – put that out of my MOTU896 as 16 analogue channels – which I then run through a live desk. Obviously I can’t record the automation that I do -but it does give me an insight into what I think I want to do. Problem then is remembering what I did – and putting it into Automation. I take it back. I CAN move two faders at once with the Iptouch. Doh – I’d never noticed before. I am NEVER without automation, whether it’s volume, pan, EQ, modulation, expression etc. In the days before computer control, bands actually created a performance of volume etc. on the desk as part of the mixing process, something that had to be rehearsed so they got it right in threats amount of takes possible. I use automation almost from the outset….I have lots of revisits to each track though, to make sure I have it the best that I can achieve. Using Logic Pro 9, I never realised just how much automation you can achieve until around six months ago. It’s well worth a visit in one of your vlogs. I was surprised you didn’t mention the Raven. Hi Cyrus. I was going to ask the same question. I understand it’s a personal choice. I’ve had my eye a Raven since it came out. I was looking at the Artist mix before then. I’m still using a Digi 002 and need/want to upgrade. With the new released of Raven MTi2 at $999.00 For me I think this is a better choice. Getting back to the automation topic. It’s awesome and use it on my mixes all the time. Special shout out to Graham for all you do. Your vids and articles have been indispensable to me learning new techniques all the time. Thanks so much…..
Also, I didn’t reference the Raven because I’m not the biggest fan of touch screens personally. But people seem to love it and Steven is a great guy who makes great products. I love my faderport. It works great with my Mac and Pro Tools 11. The motorized faders are great. Often times I will also dig deeper when automation is required with precision, I will hand draw it in. So in short I do both using the faderport and hand automation depending on what is I am doing. I think the key is knowing when and where to automate and this is an art in its self. When it comes to mixing anything, there is nothing better than a control surface. I have been using the Digidesign C24 for nearly a decade and it is the closest thing I have come across to an analog board. The freedom you experience with both hands on the mixer instead of a mouse and keyboard allows for much more artistic creation in your mix. And every fader movement is recorded in automation. The C24 has 3 banks of 24 faders so mixing large music sessions is a breeze. And with the flip of a switch, I have complete control over every plugin’s parameter as if it were a piece of hardware. Faders, knobs, switches and buttons are the way to go. A mouse and it’s little wheel just can’t compete. Of course it does keep me stuck using ProTools, but after mixing in that kind of spoiled environment, it’s a real pain in the neck if I have to use any other program and mix with the mouse. Yep, I learned on the Control 24 in college. Very cool. What iPad software was he using? Graham – thank you for sharing this. Part of the success of creating (recording & mixing) a well thought-out, exciting song involves implementing these very human-like automations. The lack of these strategic automations result in relatively uninteresting music. While compression has it’s enormous benefits to managing volume on a track by track basis, a mix can easily become “too tame.” I often try to imagine the unharnessed energy and dynamic excitement when performing live. How can one convey that kind of excitement in the home recording environment? I think you identified the answer. Addressing automations is the key to enhancing excitement, depth & emotion. BTW, I will pick up the PreSonus Fader Port. Thanks for the recommendation. That will make automations so much more fun! Thanks for the post – very good information (again)! I use automation all the time in my mixes to accentuate a guitar solo or tom fill or vocal, etc. When I went looking for control surfaces I was in shock at what the latest ones cost…. I started hunting around for ones that were ‘plug n play’ wit my DAW (Cubase 7.5) and one of the ones listed in Cubase is the JL Cooper CS-10. These were $1500 when new, but are now available on eBay for $100-$150. The faders are not motorized, but they are 100mm Alps faders. There are a number of other parameters you can control as well and they’re built to professional broadcast studio standards. You need MIDI I/O to allow it sync with your DAW and it will control up to 64 tracks. Also has a full set of transport keys. I just thought I’d put this out there as another option for your readers…. Andy, thanks for the info! I’ll check it out! Thank you for sharing your experience with us. Wonderful article and advice :D! I’m actually very surprised at how surprised you were about the powers of automation after meeting a famous producer :D! You made it sound like it was something you’ve never taught us but you already did in great detail. I’ve been following many of your posts and videos and you’ve written a lot about automation and how it can sweeten a mix whether by gradually panning a certain instrument from left to right just for a few seconds in the chorus, or automating a volume fader to emphasize a specific note, etc. I’m guessing the only physical difference was using a mouse versus using a control surface but the psychological impact is tremendous as it gives you a better feeling and sense of control over simultaneous elements of a mix in real time versus the stagnant pre-ordained corrective process of using a mouse to surgically edit one part at a time which can feel tedious and boring. Much like what you taught us before, we must use whatever is necessary to help us achieve that great mix, and having a good mindset and psychological boost can certain do wonders in the creative process. Thank you again for this great article. Hope you have a great week! I’m curious if he automated anything else but levels? Such as panning or eq? When you look at the automation on my mixes it looks crazy but that is what it takes. I draw it all in. But I have been looking at the Novation control surface for Ableton… maybe a Christmas gift for myself!!! This! Holy cow, this! Automation was always a hurdle to me because it always felt incredibly tedious with a mouse. Part of that was just that I hadn’t really explored my DAW’s automation toolkit to the full extent. However, I bought a FaderPort about 2 years ago, and suddenly, my mixes started coming to life. I especially love putting it in touch mode and going phrase by phrase through vocals, nudging up and down here and there until I get the perfect pass. Thanks for this post, Graham! You are so right on this Graham, recording and mixing is an art and we all paint in a unique way, automation is fun. I automate the sliders and knobs on my keyboards when recording audio to my DAW and automate them again on my DAW using Presonus fader port making the tracks interact , I just need to learn not to overload, I’ll loop and start subtracting. I’m glad to see you finally get your hands dirty Graham! To me, mixing on a control surface has so much more freedom and flexibility then a mouse. To be able to grab faders with your hands is the closest you’ll ever get to a console feel. I used to use the Mackie MCU Pro, but sold it to venture into the new Presonus CS18Ai. My workflow in Studio One 3 is much faster with that surface, and it’s group fader options are a dream to use. I’ve also always been a fan of “playing the song” as he put it. It’s a subtle way to make your mix stand out that much more, and give it life! I am a mouse user and learned most of what I know about automation from your and Dave Pensado’s videos. I always automate the lead vocals so that every word can be heard. I also like automating filter controls, leslie speaker speed and whatever calls out to move the mix. I have yet to automate a bass guitar but who knows. Lucky you to be able to attend MWTM! Thanks again for all you efforts. It was a fun time for sure! Wow great article man! The more and more I read articles about automation, the more I see its potential. So I know that I need automation in my mixes to give more life into them. But when I try to automate, I don’t know even where to start. There’s so much I can do but I have now 10, 20 or 30 tracks or even more to automate. I know that you already did some videos on Youtube explaining that but I’ve never seen a video with that technique, or at least showing it. I’d like to see somebody automate an entire mix just so I can fully understand your point tho. Hope I get the chance to watch that soon! Wow, cool experience. That’s how I felt after watching your 60 minute mix videos recently! I usually automate the volume for most tracks. But ironically, it happens from my frustration with the compressors “not doing a good enough job”. I figured I just didn’t know how to use compressors right, so I resorted to tedious automation afterwards. Heck, I’ve even automated EQ bands to control boominess without losing low end, or to improve guitar chords that weren’t hit right. After reading your post, I feel a bit less amateur. Thanks Graham! Years ago I bought a Yamaha 01V to do my automation in Sonar v5, but with software upgrades, that automation control is now broken. I am so fed up with automation via mouse that I went out and bought a Tascam X48, and I am looking for a digital desk with built in transport, track arming and automation controls like a Yamaha DM2000, Tascam DM4800, Mackie HUI/d8b etc… so that I never actually have to touch the X48 – just treat it like a tape machine with a remote built into the console – yes, I know it can do a whole lot more than that, but I just want fast and reliable transport and mix automation control from the console surface. I am still comparing desk protocols supported and compatibility with the X48. Just going to do a MIDI SYS-EX dump of the mixer’s automation memory onto my current DAW for backup and restore purposes. Full physical automation with fingers on faders – just like mixing live. Yes yes yes yes yes! Automate those fine details. Make the transitions and fills more energetic. Graham, I’ve mixed countless albums with a mouse. My focus was thus on the screen with my eyes. Mostly automation with straight lines going up and down. Until….I recently mixed on a 8 fader controller!!!!!!!!! Changed my life completely. I started doing mix passes with my eyes closed and with my fingers on the faders, I was in touch with the music for the first time in my life (or so it seemed). I immediately purchased the Avid Mix controller. Now my mixes sound like emotional moving entities rather than notes and instruments combined together. Thanks for your blogs. Enjoy it. It discusses the making of the song “I’m Not in Love” by 10cc. Whether or not you like the song, it’s a really interesting look at innovation in the studio. Enjoy! Sorry, I may have taken that link from after the video had already started. Just start it over from the beginning to hear the whole thing. Enjoy! With my DAW I can ride faders two ways so I don’t do a l ot as it seems to have a completely different effect sometimes. I can create points in the actual musical tracks, or can use the “AUX” drop down to control the track over all volume. The second approach is easy to do as I can click the “Aux” drop down volume for volume and record that line. When I do this I can literally ride the fader in “Mixer” View and the line of automation will adjust accordingly. But sometimes I don’t get the effect I need….just over all louder or softer. The first method though works more accurately but I have to strrreetch the track view out all the way and use “Points” for the adjustments. Much more dynamic sounding for some reason, but takes hours to get right. Since I don’t use ProTools and won’t till I can afford to do a really serious upgrade of over all computer (dedicated ‘Server” with 64bit and a lot more ram) I must rely on Mixcraft 7.5 (which does an over all good job when using good quality plugins.) So suggestions on or more detail on automation techniques would be helpful. I’m still old school and quite used to “Riding a Fader” in a traditional studio environment. But working with a mouse is always a long night when doing automation. 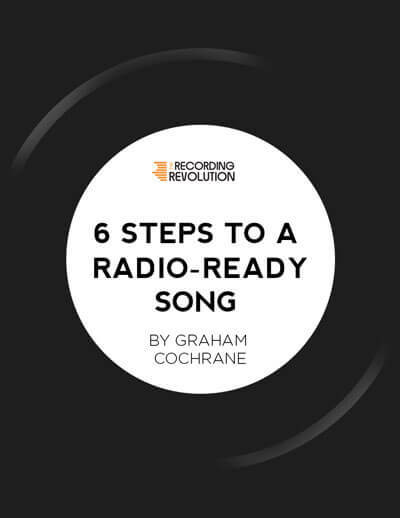 Thanks Graham, as always well explained and sensible advice. Take care. In my live mixing on a Mackie VLZ Pro 32-4, I typically do exactly what you described Jacquire was doing. I find it very important when working the FOH mix to be absorbed in the song as if I were playing it with the musicians – being “one” with each musician – and bringing the each part – each group – the whole mix – to life. The emotion is important – you can even learn a lot by watching how the emotion you add affects the audience – feeding off of them almost as if you were on stage. Thanks again for bringing these MWTM insights to us! As much as I would adore to have a real control surface, I literally only dived into the world of automation yesterday! (confession – I do have a Digi002 with a very old PowerMac G4, but it’s on it’s last legs and I recently purchased a Focusrite 18i20 to use with my laptop which I much prefer). I didn’t realise how much life you can bring to your mixes just by doing something so simple as automating the drum overheads in the last chorus, or bringing down the guitars in the second verse to create a sense of dynamic! Thank you so much for sharing this with us, it really opened my eyes! Welcome to the dark side Graham! Just kidding. I was wondering how long it would be before you made the trip over to MWTM. I attended MWTM with JJP in 2014 and it was a game changing experience for me. Think you understand compression? JJP really turned everything we thought we knew on its head, that guy is a true mix artist. Also, how amazing is it in that part of France? The mansion / food / wine was just great – as well as the late night jam sessions. Um – yes. Can I please sit around that table and eat that much great bread all night long?!?! Hooked up my Evolution MK-249c MIDI keybord controller and assigned its knobs to Cubase volume controls. Ideal? No. But thought, so what, I’ll give ‘er a go. Opened a mix I’m working on and started turning knobs. I was in the music, or with the music, or a part of it, somehow connected, hearing it differently. Thanks Graham, for this, and for all you do. Thanks for the advice Graham! I knew automation was important, but it felt like a chore. I picked up a Faderport, and now I actually look forward to it. I didn’t know what I was missing. Mixing hands on like that allows you to be way more creative and less clinical. So thanks! I use a mouse, and I don’t like it very much.